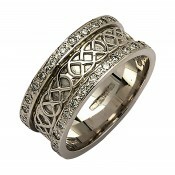 This is a Classic Irish Wedding Ring!From the An Rí Collection - it symbolises the Journey of Life a.. 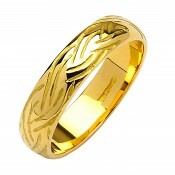 Wedding Rings are a public statement of commitment and are an important part of any marriage ceremony. 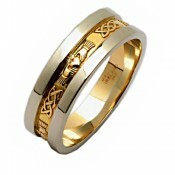 Check out our large range of Celtic Wedding Rings in White Gold, Yellow Gold and Two Tone Gold - these are available from 10 Karat to 18 Karat in many styles.